Auto insurers have raised their rates this year, arguing that distracted drivers are getting into more accidents. Many Massachusetts drivers are getting hit with thousands of dollars in questionable auto insurance surcharges after minor fender-benders, despite changes to state law in 2015. And state insurance regulators, aware of the overcharging, have done little to stop it. Their remedy two years later: schedule a hearing some time this summer. The problem began after the Legislature passed a law two years ago to address the skyrocketing cost of car repairs, which can quickly run up to hundreds of dollars for even small accidents. The law raised the minimum claim for repairs that would trigger the surcharge penalty insurers impose on drivers when they’ve had an accident that’s their fault. By increasing the claim amount, drivers could have a relatively small accident without suffering that premium increase. But some insurers appear to be ignoring the new, higher claim threshold — costing a driver perhaps as much as $600 unnecessarily. For a minor accident, the claim limit doubled to $1,000 from $500 before prompting a surcharge. For major accidents, insurers have to pay at least $5,000, up from $2,000, before they can tack on a penalty. Yet some of the biggest names in the auto insurance industry, including Boston-based Liberty Mutual and Geico Insurance, continue to use the older, lower thresholds, prompting larger insurance bills that can last as long as five years. These insurance companies cover close to 1 million Massachusetts drivers. Without clear guidance from state insurance regulators, companies are interpreting the law differently, resulting in a patchwork system — and higher premiums for drivers — insurance industry officials and agents said. Chris Goetcheus, spokesman for the Massachusetts Division of Insurance, which regulates the industry, said most companies are honoring the higher claims thresholds. But when asked whether some companies still using lower limits are violating state law, Goetcheus declined to comment. He said the insurance division plans to hold a hearing this summer to offer companies and consumers more clarity. Even the websites of the Massachusetts Division of Insurance and the state’s Registry of Motor Vehicles still list the old claims limits. Only savvy drivers who appeal a surcharge to the state insurance board get it thrown out, if the accident claim is under $1,000. Montigny introduced the legislation after his mother got into a fender-bender a few years ago. While the accident was minor, the cost of repairing her car’s bumper easily exceeded $500 and she was facing a surcharge. The premium hike, in place for several years, would have cost more than fixing the bumper, Montigny said. As cars have become more sophisticated — with more technology and sensors to prevent accidents —the cost of repairing them has risen dramatically. There’s little repair work an auto body shop can do for under $500, Montigny said. Montigny said the changes were approved as an amendment to the state budget in 2015 and it shouldn’t be taking so long for it to be applied and enforced uniformly. The Legislature clearly meant for the law to apply to all insurers, he said. The surcharge confusion is occurring as rates overall continue to rise. Some of the largest auto insurers in Massachusetts are raising their rates on average between 3 and 6 percent this year, arguing that drivers distracted by their smartphones are getting into accidents more often. The rate increases this year follow steep rises in 2016 of between 6 and 9 percent. The average premium paid by Massachusetts drivers was $1,108 in 2014, the most recent data available. But after an accident, the state’s drivers see among the largest average increases in the country, according to surveys done by consumer website InsuranceQuotes.com. For accidents with a claim above $500 in Massachusetts in 2015, drivers saw their premiums increase by more that 61 percent, or about $675. For claims above $2,000, drivers can expect their premiums to rise more than 75 percent, according to InsuranceQuotes.com. Insurers that are continuing to use the old claims thresholds say they are doing nothing wrong and will continue their practices, despite the 2015 change in the law. After the state deregulated the auto insurance market in 2008, companies were allowed to develop their own system for rating drivers and surcharging them after accidents as long as it met state laws and requirements, said Christine Tasher, a spokeswoman for Geico, in a statement. Geico is following its own plan, which includes the $500 claim threshold, and the Division of Insurance has not raised any flags about it, she said. NGM Insurance Co., a subsidiary of Main Street America Group, has no plans to increase its minimum claim limit to conform to the 2015 changes, because those new thresholds apply only to companies using the state’s rating system, said Mark Friedlander, a spokesman for the company. Liberty Mutual said that since the Massachusetts Registry of Motor Vehicles continues to ask insurance companies to report accident claim payments of $500 or more for data collection, it uses that same limit for imposing surcharges after an accident, “to avoid consumer confusion,” said Glenn Greenberg, a spokesman for the company. However, if a surcharge is thrown out on appeal, Liberty Mutual will honor it, he said. But if the driver doesn’t appeal and the claim payments are under $1,000, their premiums do increase, Greenberg said. 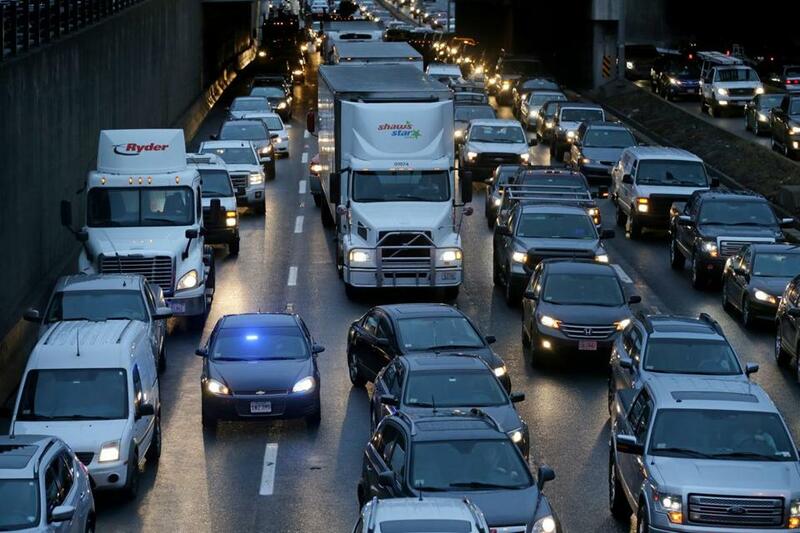 Nick Fyntrilakis, president of the Massachusetts Association of Insurance Agents, said the burden shouldn’t be on drivers, since the law is in their favor. To appeal a surcharge, Massachusetts drivers must pay a $50 application fee to get a hearing, and only a minority of drivers go that route. Last year, out of the nearly 249,000 surcharge notices that insurance companies sent out, in only 30,400 cases, or 12 percent of the time, did drivers request a hearing from the Division of Insurance. The appeals board sided with the driver over the insurance company in nearly 23,000 of those cases it heard, according to state officials. Greenberg said Liberty Mutual is reviewing its surcharge thresholds but the company believes “this is an issue best remedied collectively,” by state regulators. “There is conflicting direction that causes confusion in the industry and for consumers,” he said.